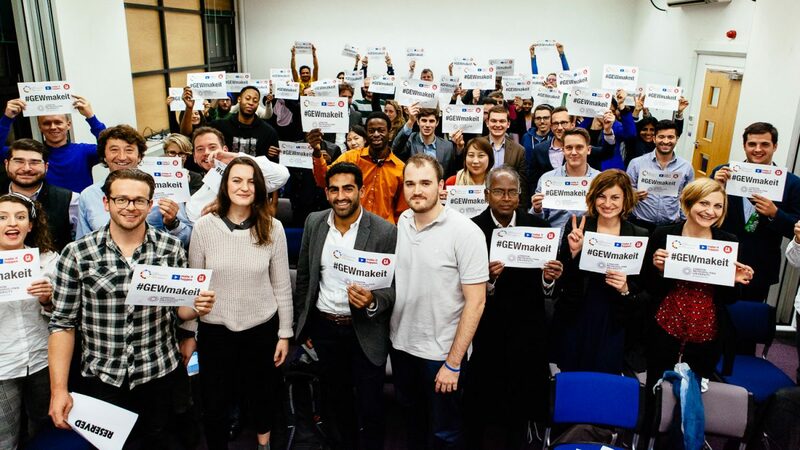 During GEWUK week Accelerator hosted a Crowdfunding event in association with General Assembly. It was a great night packed with useful advice and tips to help us “make it happen” with crowdfunding! Event participants learned how to develop their project or idea for crowdfunding success. Crowdfunding is changing the creative funding landscape for entrepreneurs, media-makers, designers, startups, and tech visionaries. The room was filled with startups, designers and creatives wanting to know whether their idea is crowdfundable. We heard from industry experts from the world’s largest crowdfunding platforms as well as business founders talking from their experience on how they raised funds via crowdfunding. Howard is Co-founder & CMO of Adludio, a VC backed adtech company that is on a mission to transform advertising. Daniel is one the founders of Niume, a blogging platform that aims to disrupt the way content is created and distributed online. Also discussed was the main pros and cons of crowdfunding over other investment options. Accelerator provides a programme of workshops for startups. Join our mailing list to keep up to date! This event was delivered as part of Global Entrepreneurship Week, a week of global activities that highlight and celebrate entrepreneurship and its social and economic benefits, including personal empowerment and job creation.